Award-winning Unified Communications software for SaaS providers. Replaces old PBX systems with modern, social oriented communications. 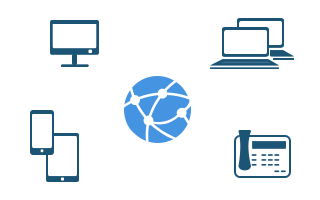 VoipNow brings together multiple communication flows to simplify the way people work and communicate. VoipNow platform is what you need in order to deliver innovative cloud PBX and Unified Communications services to your customers. VoipNow comes with a real-time charging engine. Using the built-in charging, you can deliver customized services to your customers according to local market requirements, while enjoying full control over call routing and thresholds. 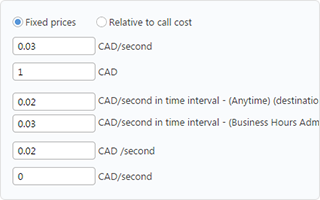 Optimize call costs by choosing the best route based on the defined time intervals and schedule events that ought to happen within a certain time-frame of the day. For example, you can enable automatic call redirect to any destination such as voicemail or mobile. 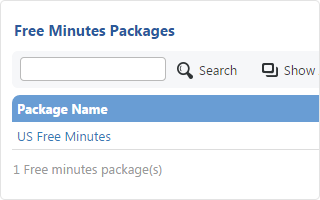 Easily set up free-minutes packages for calls to specific destinations. Once these free minutes are used from the monthly package, the usual charging plan fees will apply. Both you and your customers can create postpaid charging plans, based on complex scenarios, enabling real-time telephony charging. The high-performance charging engine can be integrated with any billing software through the API. You can create prepaid charging plans to satisfy complex use cases. 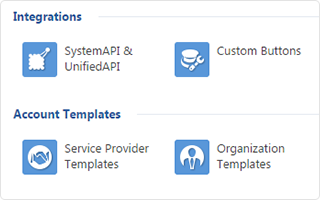 All plan parameters as well as credit assigned to customers can also be updated through the API. For example, when the customer is purchasing minutes on your website. 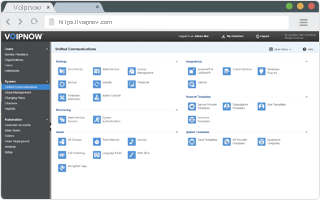 VoipNow implements a distributed architecture that can be easily managed in the Cloud Management web interface. It is designed to maximize cloud advantages, transforming raw computing resources into a Unified Communications service. System functionality and load are distributed across multiple computing nodes that can be provisioned cost-effectively, using public or private IaaS. 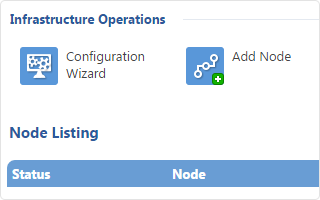 Adding a new computing node to a VoipNow infrastructure takes less than 5 minutes and does not involve any downtime. The high-performance distributed database contributes to building a very scalable and effective infrastructure. 4PSA's patent-pending database engine features Native High Availability and is blazing fast - over 100,000 queries per second, even on modest hardware. VoipNow features a modular software stack, which translates in better performance, high scalability, and support for unlimited objects. It makes it very easy to extend or even replace components, based on technical requirements. 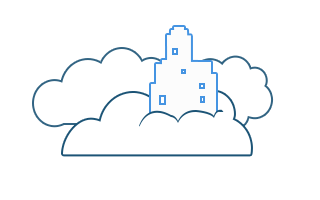 VoipNow supports Amazon S3 protocol for keeping in the Cloud the most storage-hungry resources such as recordings, voicemails, and faxes. It is not mandatory to use the Amazon S3 service. Many products and services such as OpenStack Swift are compatible with this protocol. Easily manage organizations and users from a single, user-friendly, web based interface with 4 layers of control: admininistrator, service providers, organizations, and users. VoipNow lets you handle everything from updating customer accounts and setting access to resources to customizing account permissions, limits, and charging. Multiple Service Providers run their business in isolated, yet multitenant environments. Each can offer services to various organizations that are managed independently. Organizations can have multiple users that enjoy their own resources. 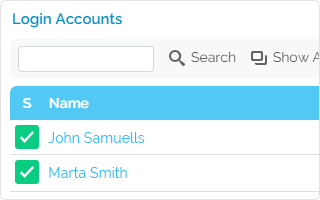 For bigger companies, you can always create multiple login accounts on the administrator and service provider levels. The carrier grade SIP server provides high-performance SIP router and proxy, register, and presence functionality. The server is standard-compliant and tested in interop environments against hundreds of different systems. 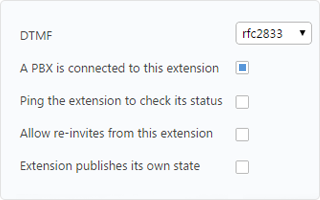 The ENUM routing support is fully configurable. 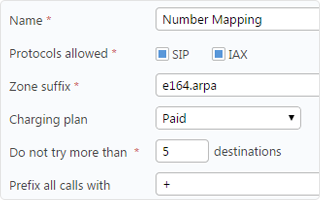 If a destination is not available throughout ENUM, it will be called through the telephony trunking provider, which is normally selected by the routing engine. You can integrate VoipNow with any national portability databases, using the open APIs available for this purpose. Thanks to the Number Portability feature, VoipNow allows you to charge calls based on the telephony network of the destination number. With the SIP trunking functionality, you can immediately provide highly scalable, feature-rich telephony services. Your customers can connect their PBXs to the VoipNow infrastructure, while you assign them with telephony resources such as DIDs, trunks, and call control functionality. 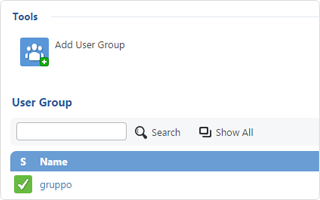 The REST-based UnifiedAPI is OpenSocial compatible and provides consistent access to call resources and operations in VoipNow, while using a very fast interface. It allows you to control telephony-related features such as real-time management of calls, collecting information on call history, sending faxes etc. Powerful web, desktop, and mobile apps can be created for VoipNow. App management is integrated into the platform, simplifying their installation and distribution. The API client library provided as an example allows your app to authenticate using OAuth 2.0 standard, obtain authorization from the system, and access resources. The SystemAPI allows you to integrate system management with provisioning and automation applications. Using this SOAP-based API, third-party software can work with the VoipNow system to manage users, features or call management related options such as call charging. You can extend system capabilities by using the internal plug-ins that are executed on system hooks. This opens the gate for more in-depth integrations with other services. VoipNow's documentation is available on 4PSA's Wiki. This enables us to fix potential issues faster and make the documentation process more interactive. You can comment on every page, so we can gather feedback and improve content at a fast pace. Even when traveling, your customers won't need much to stay connected. Smartphones, tablets, laptops with broadband Internet connection, or even trusty analogue phones can easily pick up conversations where they were left off. 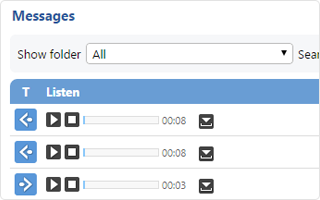 VoipNow provides both automated and event-driven recordings. Such events can be triggered by dialing a code during the phone conversation or through a UnifiedAPI request. On highly regulated environments, call recordings can be started unconditionally. 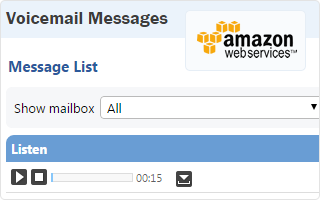 Voicemail can be personalized, while messages left by callers may be automatically dispatched by email. Users can check them either over the phone or in the web management interface. 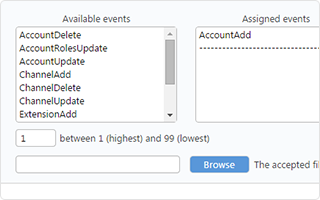 They are also available in Hubgets interface in the user's Call History. Any phone terminal extension provisioned in VoipNow can be virtualized. This means that your customers may use any device, anywhere they are. No one wants to miss important phone calls. 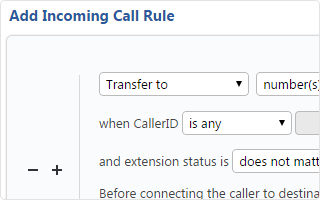 Use this feature to forward calls to another extension in the system or to any other phone such as your mobile. Therefore, even if you're not at your desk, you are not out of reach. The Interactive Voice Response (IVR) assists you in creating complex auto-attendant voice menus that can be used in multiple contexts, with various options and actions. 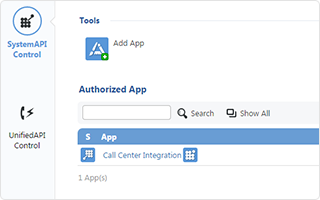 You can even integrate it with your applications using the Call Interactive Action available in the UnifiedAPI! Improve privacy protection, automate tasks, and enhance user productivity. 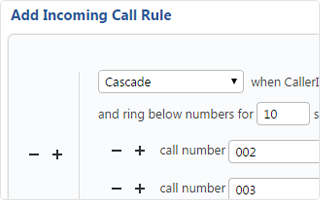 You can filter incoming calls based on the CallerID, the time of call, and rules that trigger a set of predefined actions, such as call hang-up or transfer to specific phone numbers. Never miss a call, regardless of your location! When a caller dials your number, your mobile phone, your home line and office phone will all ring at the same time. The call will be put through the line that answers first, ensuring that you can be easily reached, even when out of office. VoipNow's history-based queue routing takes your customer experience to a whole new level. 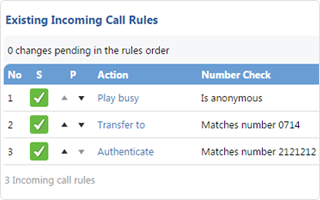 Smart Call Queues automatically connect callers to the agent they last talked to. It also tells you how long customers have been waiting in the queue and transfer their calls to a manager, in case they waited for too long. Call centers have become critical to the success of many businesses. 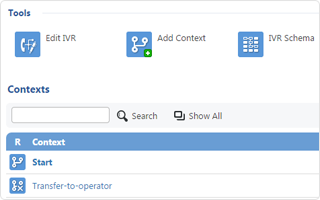 With a combination of IVRs and queues, you can direct all incoming calls to the appropriate destinations. Local agents can log in to one or several queues at the same time, and start helping your customers right away. 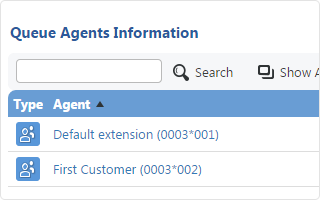 Agents do not have to be in the office or connected directly to the VoipNow system. They only need access to a phone. Once authenticated to the queue, they will begin receiving calls from the queue. The Call Confirmation feature prevents automatic call answering mechanisms to get queue calls, which can be an issue when the agent is using a mobile phone. Real-time reports on call flows and statistics help you improve call center operations and agents' performance. VoipNow's advanced call statistics provide insights on how calls were distributed, the average success rate, average call duration, hangup causes, failed calls, top telephony users etc. Gain better control of your call center flows by viewing detailed reports or listening to active conversations. Queue supervisors can also whisper to agents or barge in the call, which is particularly useful when training new agents or assisting them with difficult conversations. Supervisors can interact with both incoming and outgoing calls. 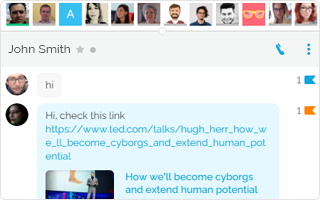 VoipNow and Hubgets connect users to the whole communication stack: from the traditional PSTN to VoIP and mobile and up to the browser-based communication. This way, your customers will benefit from an unified communication flow. 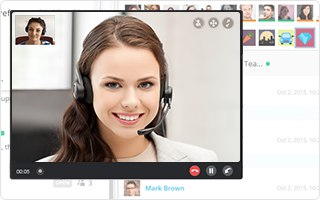 When voice is not enough, your customers can make video calls from their PC, notebook, smartphone, tablet, or even from a video-ready desk phone. 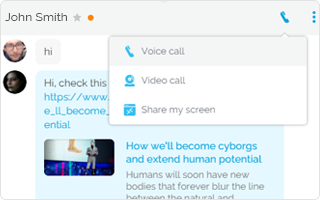 By using the WebRTC over SIP stack, VoipNow brings voice and video calls in the browser and simplifies real-time communication and collaboration. VoipNow's conferencing feature lets you easily initiate conferences from any device. 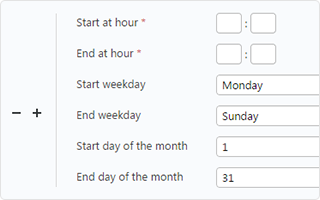 Conference extensions are dedicated to scheduled conferences, and they allow you to define policies, participants, and time-frames. Chat is the fastest way to reach anyone, especially for people who do not like to make calls. Deliver both options and let your customer decide. The Instant Messaging function supports presence, virtual cards, file transfers, screen sharing and collaboration. VoipNow Cloud OnDemand is a turnkey solution that delivers Unified Communications, infrastructure, and support. By choosing UC-as-a-Service, you can profit from all the advantages brought on by a ready-to-go offer. 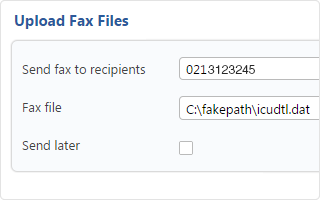 Fax is available with full T.38 support, pass-through, and endpoint. This feature allows you to send and receive error-free faxes over IP, even on poor quality connections. The fax server comes with both fax-to-email and email-to-fax capabilities. It's always good to know which colleagues are available before you call or transfer them a call. VoipNow provides real-time insights on their availability based on the status of their phone devices. Some companies are encouraging the BYOD model, even if they have strong security policies. VoipNow's extension virtualization feature helps such organizations establish successful BYOD policies and take advantage from its perks: faster adoption curve and better end-user experience. We made voice calls and related objects in the Cloud just as accessible as other Cloud resources. Your customers will enjoy complete freedom: they can call from anywhere, at any time, while using any device. 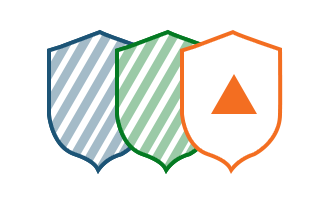 VoipNow is protected by multiple security layers. The infrastructure firewall protects the access to your server. 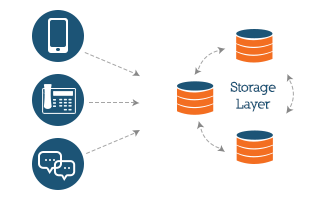 The application layer firewall offers protection against stack brute force attacks. This reduces business losses, even if physical access to the phone devices was possible at one point in time. 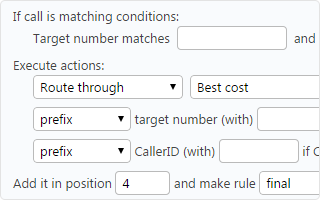 You can set limits on the number of concurrent calls on a specific account or at interconnection channel level. 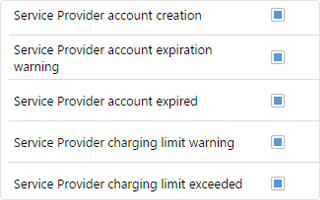 This security feature is also useful for building customized subscription plans. 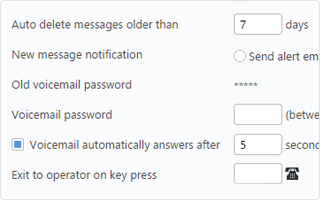 The system is able to issue email notifications before telephony usage limits are reached. 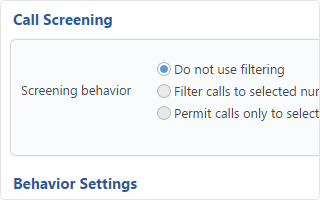 This helps account owners take the necessary corrective measures to avoid becoming unable to use the phone. Losses can be minimized by limiting the account usage, even when phones are used by unauthorized personnel outside the business scope. VoipNow comes with extended encryption and simplified setup. The media encryption supports SDES and STLS-SRTP standards. Encryption is vital for call security and provides additional benefits as well. For example, it becomes difficult for wireless carriers to block VoIP traffic. 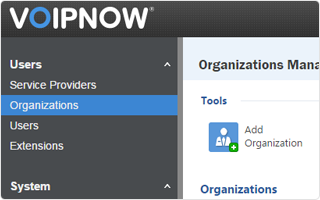 VoipNow includes a wide range of reporting tools available for administrators and management. 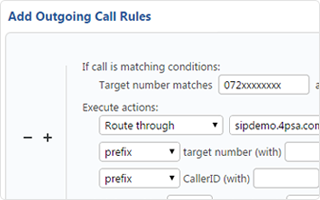 The Advanced Call Reporting is comprehensive, allowing you to monitor user activity, bill customers from third-party applications, determine call queues flows, and so on. VoipNow's big data, search and analytics engine virtually retains any information in order to be later available and analyzed. You can perform complex search queries on billions of call records in real-time, without any performance degradation. Call records are also stored in the MariaDB database. UnifiedAPI lets you interact with VoipNow's CDRs (call detail records) and retrieve the information you need. 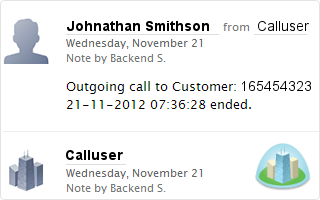 For example, you can get a list of all the calls made by a certain user throughout the past month or even a real-time figure. VoipNow keeps track of all actions performed in the interface, like edit account details, add new user accounts, delete call reports, add or remove extensions, etc. 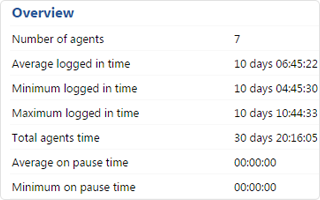 With the Request Log feature, admins can monitor and audit these system configuration changes from the web interface.